God the Son came to earth as an embryo in a virgin's womb and as a baby born in a stable to give His people the kind of existence they otherwise could never possess. He came to give life to those who trust in Him. The apostle John testified to this truth in his first letter, saying, "By this the love of God was manifested in us, that God has sent His only begotten Son into the world so that we might live through Him" (I John 4:9). We were dead in our sins, as the apostle Paul wrote in Eph. 2:1, but God, "being rich in mercy, because of His great love with which He loved us, even when we were dead in our transgressions, made us alive together with Christ (by grace you have been saved)" (Eph. 2:4). The Son came to give us life, but it is not just any life or life only as opposed to physical death. During His public ministry, Jesus proclaimed this reality, saying, "I came that they may have life, and have it abundantly" (John 10:10). This abundant life could be described as a life of joy. It is not an abundant life based on the possession of things or the absence of pain. It is not an abundant life based on self-fulfillment. It is a life centered on Christ Jesus -- knowing Him and making Him known, valuing Him pre-eminently. John Piper has famously written, "God is most glorified in us when we are most satisfied in Him." He has gone on to make the point that God's glory and our joy are not at odds. God the Son came to give His people joy. True joy can only be found in Another, not in ourselves. That One in whom true joy is found is the One whose coming we celebrate at Christmas. That joy is in an unchangeable, indestructible King who rules over an unshakable kingdom. As citizens of that kingdom, we can experience a joy that always rules despite our circumstances. May we realize that anew this Christmas and place our hope for joy in Him and not in any of the trappings of the season. Here is Chris Tomlin's version of "Joy to the World," which we have sung the last two Sundays. Christmas represents not only the human-ward work of God the Son to save sinners but His God-ward work to glorify His Father. This was the testimony of Jesus on the eve of His crucifixion. He prayed that night, "I glorified You on the earth, having accomplished the work which You have given me to do" (John 17:4). He could speak even before He died of fulfilling what the Father intended for Him to do in coming to earth. God the Father sent God the Son to earth with something to do. The purpose behind that mission included the glory of the Father. Jesus testified to this purpose earlier in His ministry. Jesus compared His coming death to a grain of wheat that must die before it bears fruit. He said in John 12:27-28a, "Now My soul has become troubled; and what shall I say, 'Father, save Me from this hour?' But for this purpose I came to this hour. Father, glorify your name." His Father responded by confirming with a voice from Heaven, "I have both glorified it, and will glorify it again" (John 12:28b). God the Son came to earth to glorify God the Father. That meant He must not only live a rightoues life but die a propitiatory death -- a death that satisfied fully God's wrath against sin. His Father sent Him to die. And the Son gladly and willingly became a human embryo and baby in order to die as a man for His Father's glory. [T]he depth of the Son's suffering was the measure of his love for the Father's glory. It was the Father's righteous allegiance to his own name that made recompense for sin necessary. So when the Son willingly took the suffering of that recompense on himself, every footfall on the way to Calvary echoed through the universe with this message: The glory of God is of infinite value! The glory of God is of infinite value! God the Son's mission even at His birth was to give His life to ransom sinners. And the fulfillment of that mission brought great glory to His Father. If we would prevent gospel amnesia in our own lives, we should preach the gospel to ourselves -- including its benefits. One of these glorious benefits is described by the apostle Paul: "Therefore there is now no condemnation for those who are in Christ Jesus" (Rom. 8:1, NASB). John 3:17-18 is a great Christmas passage in which God the Son explains a reason He came to earth as a man -- and points to the condemnation all humanity lives under. He says, "For God did not send the Son into the world to judge the world, but that the world might be saved through Him. He who believes in Him is not judged; he who does not believe has been judged already, because he has not believed in the name of the only begotten Son of God." As sinners by nature, we are condemned; we are under wrath; we are judged. That all changes when God saves us by His grace because of the powerful gospel work of His Son. Now, we are no longer under condemnation -- forever. Nothing can reverse that verdict. That is the kind of benefit we should regularly remind ourselves of. 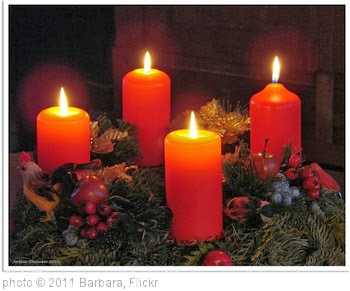 At Christmas, we can remember -- God the Son came to deliver us from the condemnation that dominated us. That is cause for rejoicing in Jesus and His gospel. It is a story that could only be described as myth or fable except that it is recorded in the perfect Word that has the perfect God as its author: The Creator of the cosmos becomes a man. Even more stunning, He does not take on flesh as a full-grown human being. He becomes human the way all humans do -- by conception -- with one all-important difference: He has no earthly father. The God who has made and regulates all things becomes an embryo. Early -- really early -- in His gestation, another unborn child and his mother recognize He is the long-awaited Messiah (Luke 1:39-45). In a virgin's womb, He matures as other unborn children do. His body takes shape and grows until the nine months of pregnancy come to their end, and His humble mother delivers Him in a humble location. He arrives in the outside world through the labor and pain of a young mortal. This is the story of Christmas -- a baby born in a Middle Eastern town is Lord of all. Dementia and Alzheimer’s disease are in our thoughts as a family these days. We are growing in our knowledge of and concern about these devastating afflictions because of the apparent conditions of loved ones. I may write about this subject in the future, but there is another one it brings to mind for this post. As destructive as these neurological disorders can be, there is another form of forgetting that can be overwhelming spiritually for a Christian. It is gospel amnesia, as some have labeled it. When we fail to realize the gospel of Jesus is indispensable not just to being saved from our sins but to all of our Christian life, we are suffering – in essence – gospel amnesia. When we fail to remember the gospel of Jesus during both the exhilarating and mundane moments of life, we are suffering gospel amnesia. When we fail to remind ourselves of the gospel in both the advances and setbacks of life, we are suffering gospel amnesia. When we replace the gospel with counterfeit and powerless substitutes that maximize human work and minimize Christ’s work, we are suffering gospel amnesia – or worse. Whether or not this is a fair reading of the Mennonites, it is certainly a salutary warning for evangelicals at large. 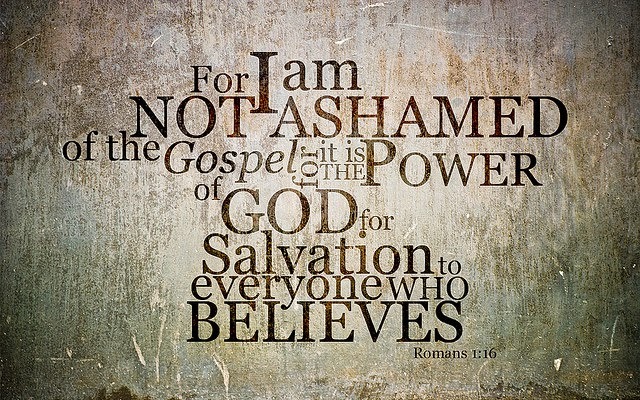 One thing we cannot afford to do as followers of Christ or as a church is to assume the gospel. Assuming the gospel – its definition and its significance – can lead to forgetting the gospel, if not disowning it. That is disastrous for a Christian and a church. And that is why we, as a church, spend time each Sunday in explaining the gospel in our singing, reading, praying and preaching. 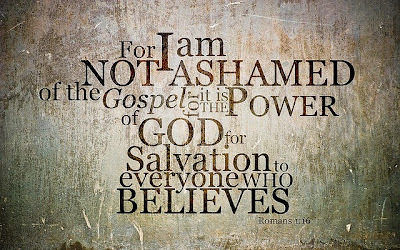 And that is why those of us who follow Jesus must remind ourselves of the gospel regularly. And that begins with making sure we know the gospel. What is the gospel? In brief, the gospel is the good news that God has extended unmerited favor to sinners. The sovereign and holy God who has created all people has every right to judge sinners – and every person is a sinner -- for their rebellion against Him and His rule. Yet, He has poured out His judgment on His Son, Jesus Christ, who lived a perfectly righteous life but willingly died as a substitute for sinners. God the Son’s death on a cross totally satisfied God the Father’s punishment of sin for all who repent and trust in Jesus for salvation. From that all-sufficient work by Christ the Lord flow vast benefits for eternity – benefits I plan to rehearse in future posts.